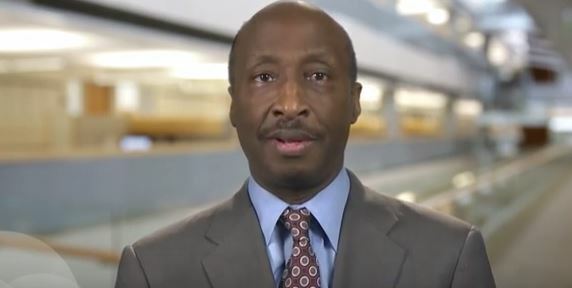 Merck & Co’s CEO Kenneth Frazier has resigned from Donald Trumps’s council of manufacturing advisers, following the US president’s handling of the deadly violence in Charlottesville over the weekend. Trump faced widespread criticism for failing to explicitly condemn far-right white nationalists at the ‘Unite the Right’ rally held at the city in Virginia. A woman was killed when a car rammed into a crowd of anti-racism protestors, an attack that also left around 19 people wounded. James Alex Fields, 20, has since been charged with second degree murder following the incident. According to reports, another 15 people were wounded in separate clashes around the far-right rally on Saturday afternoon. In a twitter statement Frazier (pictured above) said he resigned from the President’s American Manufacturing Council, saying that “America’s leaders must honour our fundamental values by clearly rejecting expressions of hatred, bigotry and group supremacy”. Frazier added that as “a matter of personal conscience, I feel a responsibility to take a stand against intolerance and extremism”. While many people spoke out in support of Frazier’s stance on twitter, Trump fired back a strongly-worded tweet in response. There was no comment on the matter from Alex Gorsky, CEO of Johnson & Johnson, who also sits on the council, which was convened by the president when he took office in a bid to boost the US manufacturing sector. A further two members of the council have resigned since Frazier’s intervention – Kevin Plank, CEO of Under Armour, and Brian Krzanich, CEO of Intel. In a news conference after the event at the weekend, Trump in a statement denounced the “egregious display of hatred and bigotry” displayed by antagonists “on many sides”. Trump’s statement came under immediate criticism from those who felt he had not taken a strong enough stance against bigotry and extremism. The president on Monday explicitly condemned white supremacists at the rally – but the criticism continued as the new statement only followed intense public pressure.